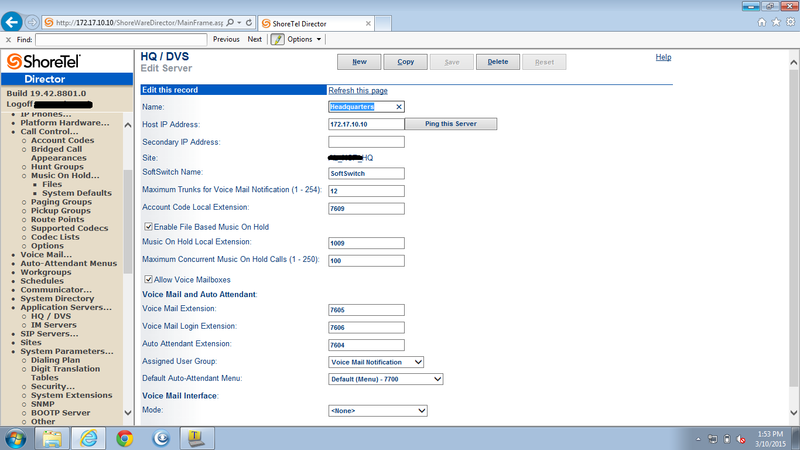 ShoreTel really makes things simple to configure. I like the product and like installing it, although I do feel there are some weaknesses to it. 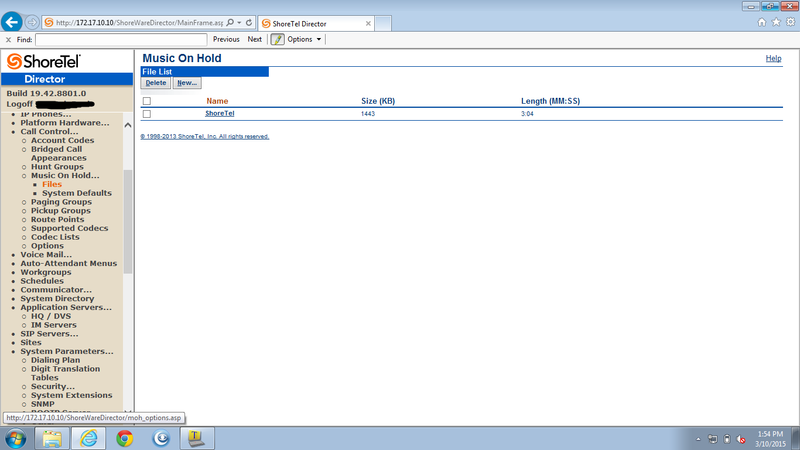 One of the things that is easy in ShoreTel, is using file based MOH (music on hold). 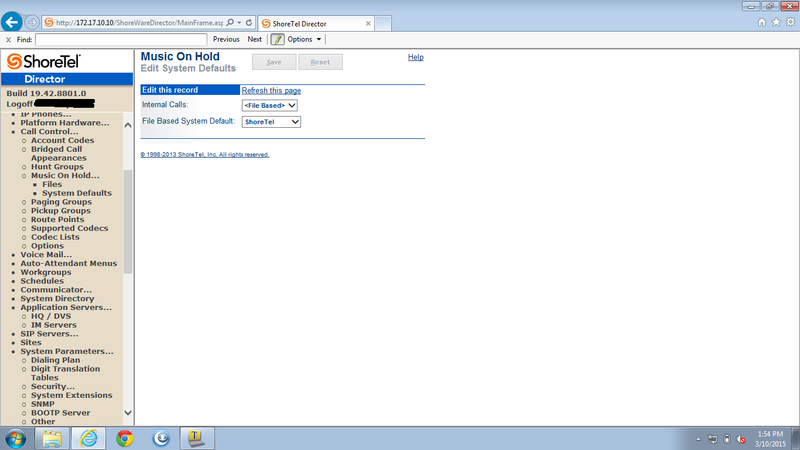 Below are the steps I use to configure it when needed. Select "Enable File Based Music On Hold" and select an available extension. Goto the file you want to use. And select "File Based" for your selected music file.